Despite having my birthday in January I can't help but generally feel a bit dragged down by the post Christmas blues. I try to see it as a fresh new page and everything, but the biting wind and icy starts can't help but make me long for the cheerful Springtime. I was approached by Hallmark with some wonderful suggestions on how to make the january blues much more bearable. The weeks after Christmas can be tough on our spirits, and with the weather taking a turn for the worse the January blues could be set to stick around for a little longer than we’d like. But why should we put up with them? Here are four great ways to banish those blues without stretching your post-Christmas budget. 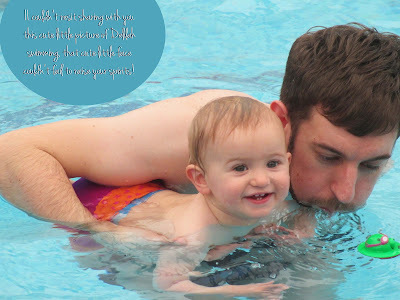 Many of us will have promised to improve our fitness in 2013 but gym memberships can be costly, and not everyone can spare the time, that’s why swimming is such a great activity. It’s a whole-body workout that’s also great for your mind, as the rhythmic strokes and immersion in the water help to relieve stress and increase feelings of positivity. And as if that’s not enough, a swimming session can cost less than hitting the gym so there’s no reason not to splash your way to happiness this January! It’s probably not a coincidence that International Hugging Day takes place in January; a day on which people across the world are encouraged to open up their arms and share a comforting cuddle with someone they love, or even a stranger! The event took place on the 21st January, but it’s never too late for a hug, especially as cuddles have been found to release the bonding hormone Oxytocin which is also incredibly effective in improving your mood. So it’s time to hug your way to happiness! There’s a lot to be said for planning your summer holiday, or even just a weekend break, during the month of January. As well as giving yourself something exciting to look forward to during these short, snowy days, there are also lots of fantastic early-bird deals to be snapped up which is great news after a costly Christmas. Happiness is infectious, so why not send a friend a special surprise....just because? A cheerful message inside a personalised card fromHallmark is sure to raise a smile, especially when paired with a little gift. There’s a great selection on the Hallmark website so head over to Hallmark nowto check out their range of personalised cards and personalised gifts. They’re guaranteed to make both you, and a friend, feel all warm and fuzzy inside! Hope you're all enjoying January, what ways do you have for keeping positive?